Considering we gave props to the Seven Heavenly Virtues for the last cocktail, it only really makes sense that we should draw attention to their counterparts. Now, as we mentioned in that recipe, it’s the sins that seem to get most of the press. It oftentimes seems that it’s much more enjoyable to engage in these vices than to celebrate the virtues. Also mentioned was the seeming incongruity of associating liquor with virtues. Especially when you take into account that temperance is one of the virtues. For those of you not “in the know” about WHY temperance is particularly germane to modern mixology, allow us to elucidate. The Woman’s Christian Temperance Union was one of the first majorly organized groups that pushed for complete prohibition of alcohol. You all obviously are familiar with prohibition (at least we hope you are if you’re reading a cocktail website). 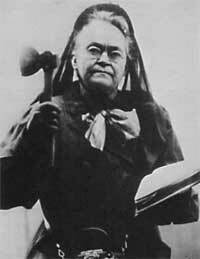 Among the most famous of the pro-temperance movement was Carrie Nation; n icon in Kansas (where Cocktails, 365 was founded). Nation was known around Kansas for her propensity to arrive at saloons and beat the ever-loving hell out of them. She was a big proponent (duh) of prohibition. 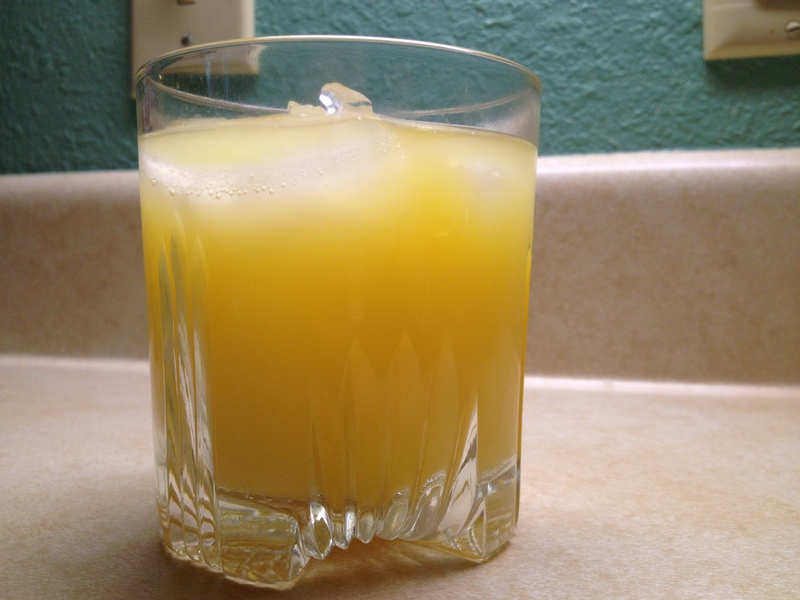 This cocktail works to curtail that virtue. This one spends a little more time on the gluttony side of things. We’ll go ahead and give you another theology lesson, since we reviewed the Seven Heavenly Virtues, we might as well do a quick rundown of the sins. Greed – Excessive or rapacious desire and pursuit of wealth, status, and power. Wrath – Inordinate and uncontrolled feelings of hatred and anger. Envy – Resentment that another person has something perceived as lacking, but also the wish to have the other person to be deprived of it. While the Seven Heavenly Virtues is geared more towards an ethereal lightness, we decided to go the opposite direction for the Seven Deadly Sins. We’re dragging you down to hell with us. Layer all the ingredients in a rocks glass filled with two large pieces of ice. Don’t mix. As you drink, the drink will chill and mix. Just as the longer you indulge in the real Seven Deadly Sins, so drinking Seven Deadly Sins becomes easier as time progresses.